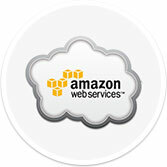 Amazon Web Services provides our participating members with two years of AWS credit (up to $5,000); free access to AWS Essentials courses and virtual office hours; two months of AWS Business Sup-port (up to $5,000); and special offers from other companies that help startups, including Chef, Bitnami, Amazon Payments, SOASTA,Podio, CopperEgg and more. 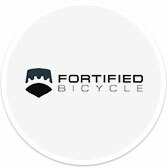 Fortified Bicycle provides lights that live on your bike. They are guar-anteed against being broken or stolen. Our members may partici-pate in the company’s Urban Heroes Program and receive a 20 per-cent discount by using the code JOYNTUREBIKE. Members also are invited to test new products. 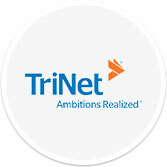 TriNet, a provider of a comprehensive human resources solutions for small to medium-sized businesses, gives generous discounts to our members. The firm’s services include payroll processing, human capital consulting, employment law compliance and employee bene-fits (health insurance, retirement plans and workers compensation insurance). 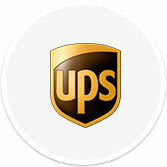 UPS provides discounts to our members for domestic and international shipping. Domestic discounts include 30 percent off next-day shipping, 24 percent office off three-day shipping and five to seven percent off ground shipping. International discounts include 34 percent for exports, 23 percent for imports, 23 percent off standard shipping to Mexico and seven percent off standard shipping to Canada. Please contact Joynture’s community manager for setup details. 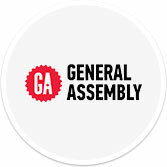 General Assembly offers our members three-months of free access to Front Row, GA’s learning platform that includes online classes and livestreams on web development, digital marketing, user experience design, product management and data science. GA also offers five percent tuition credit toward part-time courses, full-time programs and a 10 percent tuition credit for online web design course. 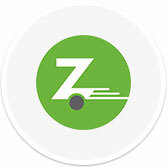 Zipcar offers Joynture members discounts for business tips and personal errands. The hourly rate for our members is nearly $6 lower than the standard hourly rate. The day rate for our members is nearly 50 percent off the standard rate. Our members also enjoy a discounted annual membership fee and no application fee. Members can sign up at zipcar.com/Joynture. Existing Zipcar members who would like to utilize our member discount should contact Heather Cohen at hcohen@zipcar.com. 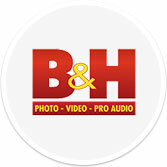 With a full city block of cameras, camcorders, computers, tablets, media players, binoculars, and much more, members will love shopping at B&H. Joynture members will receive a free gift when purchasing products totaling more than $50. Just pick up a voucher at reception or with your community manager to redeem your gift at the store! Perqy provides our members with discounts for a variety of Financial District businesses and services, including gyms, personal trainers,Pilates studios, dance studios and photographers. Contact Joynture’s community manager for an individual invitation to take advantage of Perqy’s special offerings. The Brampton is a secluded lodge situated on 10 acres on the Hudson River in the wooded foothills of the Adirondack mountains; it’s just 20 mins from Lake George where they keep their speedboat to take out guests. Other activities include: kayaking, tubing, hiking, golf, fitness weekends, yoga, doing nothing except drinking beer round the fire, rafting, fishing or frankly, just breathing in some fresh air. Joynture members receive a discounted rate when they stay! ParkWhiz is a leader in online and mobile parking – find and book guaranteed parking anytime anywhere. ParkWhiz is easy, just download the app or visit the website, enter your destination, and reserve the best parking space for you, often at prices lower than drive up rates. We’ve partnered with ParkWhiz to offer guaranteed parking at Joynture. You can find parking online or in the app. Take 10% off your ParkWhiz booking using the code “Joynture”. The Neighborhood is a community development company that specializes in bringing people that live and work in the area to local businesses. For $20 a month you are able to explore and discover 8 amazing places in your neighborhood and redeem free items such as drinks, food, fitness, and health & wellness that are a value over $200. As a member of Joynture receive your first month for just $1. CUPS is a map-based coffee discovery and payment platform. It’s built for independent cafes and allows you to order coffee from your phone. Pay As You Go, or use one of our optional Prepaid Plans. Either way you’ll save 15%+ on every cup at your favorite local cafe. Wherever you’re headed, count on Lyft for rides in minutes. The Lyft app matches you with local drivers at the tap of a button. Just request and go. First time users can use code JOYNTURE for $5 off their first 10 rides. inDinero takes care of your accounting and taxes so you can focus on building a bigger and better business. As an extension of your company, inDinero will provide expert guidance to help you manage your money, gain investors, and scale your operations. inDinero will provide a 50% discount to the setup cost for Joynture member companies (typically $500-$5000 in cost savings). To access this exclusive offer, email tony.esposito@inDinero.com and mention Joynture! Headout is a US-based platform for booking the best experiences in the city, up until the last minute. Services now span 14 cities in 7 countries. The platform has over 6000 activites that range from tours and attractions to concerts and events. From the USA to UAE, Headout provides endless possibilities for adventure seekers, holiday-goers, explorers and wanderers alike. Use Code JOYNTURE to get $20 off at checkout. The Foxgrove offers two types of classes, Electronic music production and DJing, for those looking to learn something different while having a good time. Both paths start with a self-contained 3-hour intro class, covering 80% of the most important basics in both worlds. At the end of every class, you’ll walk away with your very own custom creation. Scouted is a job matching platform that uses technology and data science to help companies make better hiring decisions. We replace the traditional entry level recruiting process and the “quick resume glance” with technology that evaluates candidates on the metrics that really matter for long-term success, such as EQ and grit, on top of traditional indicators like GPA and college. Joynture member companies will receive 50% off intern hires and 50% off your first full time hire! Why confine yourself to a desk when you could get the same work done from the comfort of a couch or lounging chair? Leisure isn’t a stranger to Joynture members. Have some technical work hanging over your head? Lucky for you, Joynture is a proud partner of EWS, an illustrious, in-house technical consulting firm.Members are encouraged to take advantage of 10 hours of free development services. With two savvy conference rooms to choose from, converse with your local team or communicate with remote offices with just the flip of a few switches. Letters and packages are delivered right to your office, and sending them out is as easy as bringing them to the front desk! Not only do we have your internet covered, we’ve got your professional landline covered, too! Freshly brewed throughout the day, locally purchased, on the house. It doesn’t get any better than that. A selection of caffeinated options for those unswayed by the coffee life. Other uncaffeinated beverages for those in need of a little unwinding. We can’t take you out to lunch everyday, but we can give you some yummy alternatives to hunger. Joynture’s kitchen is stocked daily! Settle an office debate over a friendly game of ping pong or gain some bragging rights in a full-fledged Joynture Tournament. Hard work necessitates hard play. Satisfy your video game craving on a 120“ projection screen in Joynture’s comfy common room, The Hamilton! Need to step out to make a call but don’t feel like trekking outside? Snag a convenient Joynture Phone Booth and enjoy some solitude!